In the rush to judgement on the record and the legacy of Meles Zenawi as Ethiopia’s leader for the past two decades, the man himself has barely left the shadows. Yes, he achieved record economic growth for his country, and yes, he was a force for stability and an ally in the West’s ‘war on terror,’ and no, he was certainly not a liberal democrat. He was also a much more attractive and significant figure than these achievements and positions suggest. His work rate was punishing enough to have cost him his health (he was only 57) and his political predominance owed as much to an extraordinary intellect as to his control over the apparatus of party and state. Reflecting his country’s tradition of independence and its inclination to keep foreigners in their place, he articulated a vision of an Africa where the West no longer ruled the world. Educational attainment is no indicator of political capacity, but Meles’ academic exploits were exceptional. At 19 he dropped out of his medical degree in Addis Ababa to become a guerrilla fighter. Seventeen years later he took up his studies again (and insisted most of his young cabinet do the same) through the Open University, and got one the best business degrees they have ever awarded. He went on to a master’s degree at Erasmus University in Rotterdam, an undertaking inconveniently interrupted by the war with Eritrea. His thesis, appropriately, was on the functioning of African economies. As he explained to me, it ‘was primarily intended for our own local consumption to see if our policies could stand up to the rigour of some academic scrutiny.’ He got his Master’s in 2004. Meles famously had no small talk. Chris Mullin, as a junior Foreign Office Minister, tells how he was ushered into his office after a dramatic flight across the country from the Red Sea coast. ‘Spectacular country, Prime Minister,’ ventured Mullin, to break the ice. 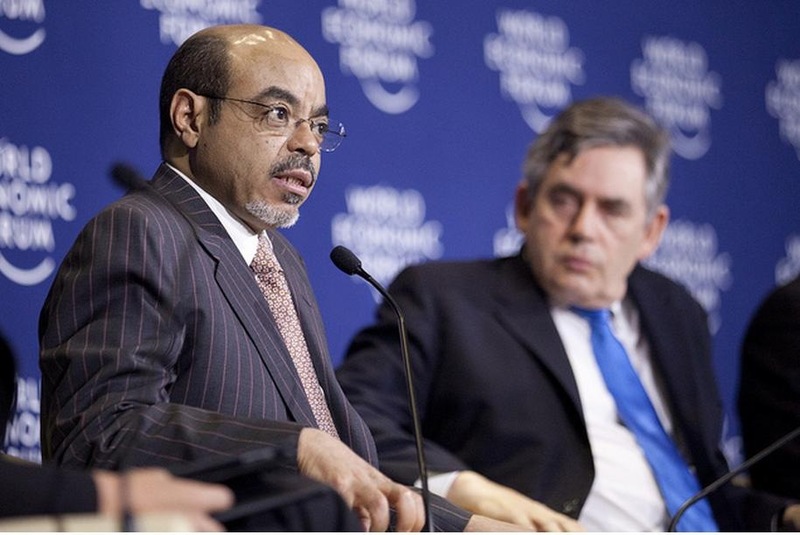 Meles smiled and said nothing. ‘It must be very difficult to govern,’ offered Mullin in desperation. ‘Spectacularly difficult,’ replied Meles. They then got down to business. What he lacked in small talk he made up for in willingness to debate and argue, more enthusiastically with foreigners than with Ethiopians. In researching my book ‘Famine and Foreigners: Ethiopia since Live Aid’ I trailed Meles to a series of ‘Farmers’ Festivals’ where he would give up a day to listen to speeches and hand out prizes. I heard him lecture on African development to several hundred economists, foreigners and Ethiopians, and then take questions for more than two hours. It was after one of these occasions that I got my introduction. I told him who I was, what I was doing and said I wanted to conduct extensive interviews with him. He beamed good-naturedly. ‘I would be honoured,’ he said in as subtle a lack of formal commitment as I have ever received as a journalist. In the event I saw him for a total of four hours, and was free to tackle all the awkward questions, from Ethiopia’s image around the world to democracy and human rights and his plans to hand over power.